What is 3D Building and Home Modeling? 27 Sep What is 3D Building and Home Modeling? The future of home construction is 3D building. As technology advances, the potential grows for 3D building and home modeling to change the industry as we know it. In fact, the world’s first habitable 3D printed home was built in over the summer. This form of additive manufacturing combines architecture and design, materials science, computation, and robotics to layer materials on top of each other to create a facade – the same layer-wise construction practiced for a long time in the building industry (think brick-laying techniques). The advantage that 3D building and printing holds over traditional construction is the ability to automate and improve processes that have already been proven manually, leading to less material waste and energy usage needed to build a structure like a new home. While the future of 3D building and the construction industry is certainly exciting, residential architects are already using 3D building and home modeling on a smaller scale to improve new home construction and renovation projects. Using computer-aided design (CAD), architects can create both interior and exterior perspectives of a project so that clients can understand the design, feel, and function of their new or renovated house. Home modeling provides architects and clients with visual aids to improve communication and overall satisfaction throughout the duration of a project. Efficient Planning and Decision-Making: During the process of creating a 3D rendering or home model, architects can work with clients to choose the materials, textures, colors and more, meaning all those details can be worked out even before breaking ground. Clean and Accurate Design: Utilizing CAD to create sharp, clean 3D renderings and home models means avoiding human errors that may occur in 2D sketches and drawings. Catch Errors Before Construction Begins: Even if mistakes or design flaws do crop up in a 3D rendering, an architect can make adjustments so clients can see how the fixes will affect the home’s look and feel before signing off on the project plans. Many clients take advantage of our 3D building capabilities if they are having trouble visualizing the project. Cardello Architects offers both interior and exterior 3D home renderings, from basic massing mockups to photorealistic replicas and models that clients can actually “walk” through using 3D glasses. Computer-rendered elevations add dimension to Cardello Architects’ design/development presentation during a home construction or renovation project. These renderings help clients understand how the sun will move across the structure by studying sun angles and shadows. Often, Cardello Architects will adjust roof lines and details to provide shade and create or eliminate shadow lines. Furthermore, this presentation method allows Cardello Architects and clients to pick building materials and look at the overall composition of the home before construction begins. 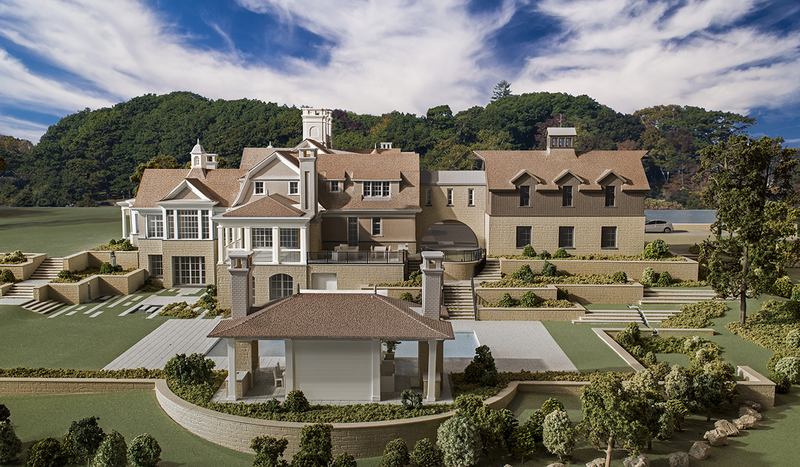 Home models provide the ultimate insurance policy for clients of Cardello Architects. This 3D building method is hands-down the best way to study the design of a project. First, Cardello Architects develops a 3D building model on the computer. Then, we use a 3D printer or custom model fabrication shop to construct a scaled model of the project. 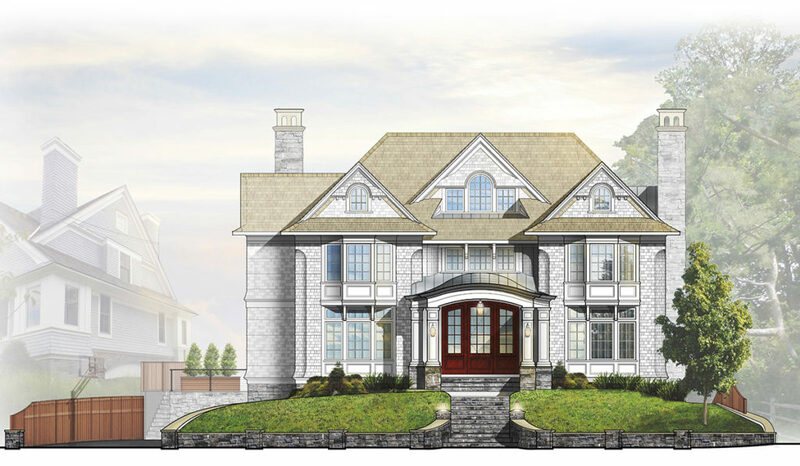 The results – like the model of Greenwich Woodland Gambrel project shown above – are stunning.